Are you ready to get back on the road with a Smart Start Arizona Ignition Interlock? Choosing Smart Start means you will experience the most convenient Ignition Interlock program in Arizona. We know the AZ DUI law and will work with you to meet your Ignition Interlock Motor Vehicle Department (MVD) requirement or court condition. Not sure what to expect during your Smart Start Arizona Ignition Interlock program? Let’s walk through everything you need to know from installation to removal. We’re here for you throughout your Interlock requirement! Need to install an Ignition Interlock? Call our friendly Customer Care Center at (800) 831-3299 or fill out our online form to confirm your installation appointment today. At the Smart Start service center, our knowledgeable technicians will install the Ignition Interlock as quickly as possible. In the meantime, you’ll watch a training video about your program and practice with the device until you are comfortable with the tests. Every provider offers a different device; however, Smart Start’s is known to be the easiest and most discreet! You’ll be ready to get back on the road before you know it! Now let’s discuss what to expect during your Smart Start Arizona Ignition Interlock program. In Arizona, you must visit a Smart Start service center throughout your Ignition Interlock program. For the first 90 days, you can visit the service center every 60 days. After those first 90 days, the calibration services must be every 30 days. Calibration services allow Smart Start technicians to refresh your device and answer any questions you may have about your program. Calibration appointments only last a few minutes so you can get back to your everyday routine! Ready to remove your Ignition Interlock? 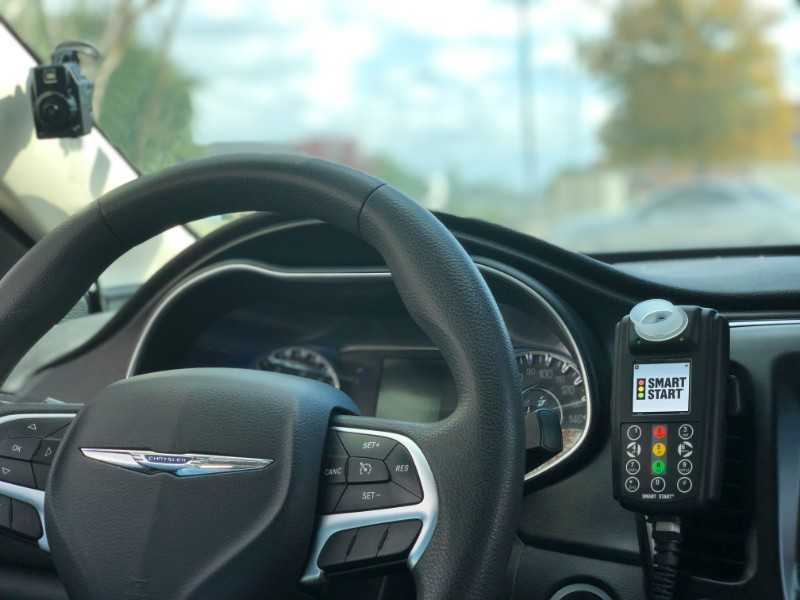 Nearing the end of the program can be exciting but remember to take the proper steps to remain compliant with your Ignition Interlock requirements. If you are under the MVD, you need to refer to them to obtain a new driver’s license. Once you obtain your license, you can contact our Customer Care Center at (800) 831-3299 to coordinate your removal appointment. When you arrive at the service center, your removal appointment will only last a few minutes! If you have any questions, feel free to ask our 24/7/365 Customer Care Center at (800) 831-3299. Ready to get back on the road with the most reliable Ignition Interlock in Arizona? Smart Start is here for you! We offer same-day Interlock installations and will install our Interlock on any vehicle, whatever the make, model or year. We also don’t burden our clients with unnecessary, hidden fees, just transparent service. Schedule your installation appointment now by calling (800) 831-3299 or by filling out our online form.